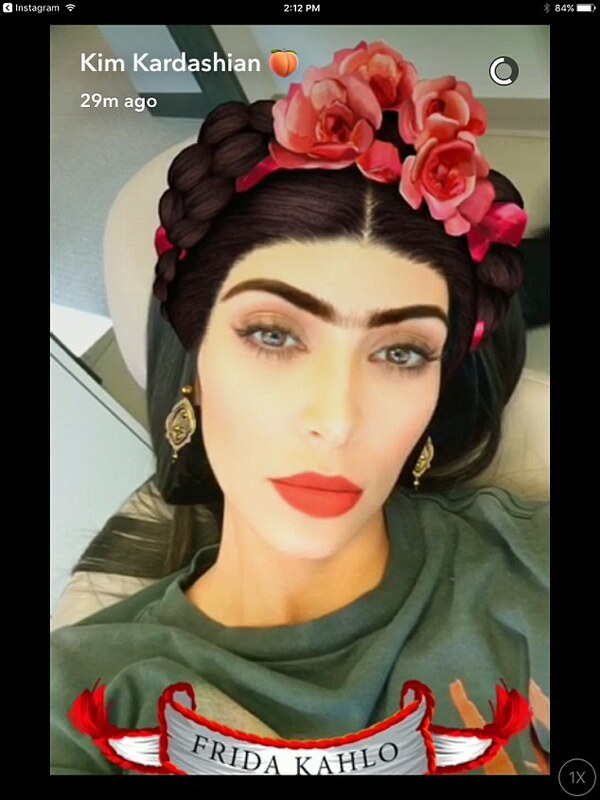 Kim Kardashian rarely pleases her fans with new selfies lately. But the popular app Snapchat seems to be the star’s favourite. Trying on the new images, the star communicates with her followers. March 8, on International Women’s Day, the star shocked everyone with a bright mono eyebrow. In this way Kim supported the initiative of the creators of the popular toy for adult girls. On this day, the developers introduced several new filters that allow you to take a selfie in the images of important women figures: scientist Marie Curie, activist Rosa Parks, Mexican artist Frida Kahlo. Kim chose the last one and she did not mistake –even such an extraordinary image does not spoil Kim at all. The youngest girls of the Kardashian family — Kim’s three-month niece, named Dream – has also ‘tried’ the image on. Her photo was published in the account of her mom, 28-year-old model Blac Chyna. Is Khloe Kardashian’s Marriage in Jeopardy?